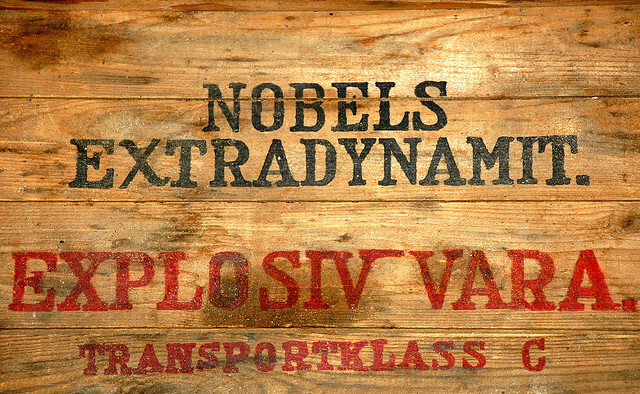 December 10 is the anniversary of the death of Alfred Nobel (1896) who both invented dynamite and established the Nobel Peace Prize. It is hardly notorious to have one’s name associated with an internationally recognized award for peace, but it is important to realize that Alfred Nobel bought his legacy of good will to avoid a fate similar to Joseph Ignace Guillotin (see guillotine). Nobel simply did not want to be remembered as the inventor of dynamite. 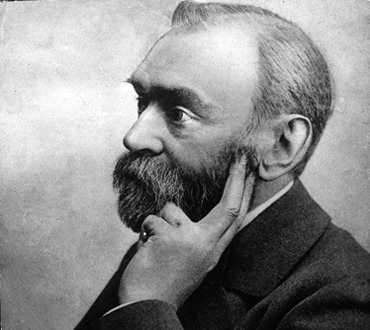 But the premature obituary with the greatest lasting impact on humanity is surely that of Alfred Nobel. In 1888, several newspapers mistakenly published his death notice following the passing of his brother Ludvig. One French newspaper used the opportunity to condemn Nobel’s invention of dynamite and wrote “Dr. Alfred Nobel, who became rich by finding ways to kill more people faster than ever before, died yesterday.” Nobel was apparently so horrified by his potential legacy that he ultimately rewrote his will in 1895 to dedicate approximately $9 million to establish the Nobel Prize Foundation. It is ironic that Nobel’s legacy of promoting peace should be borne of a newspaper article describing him as a “merchant of death.” Perhaps it is then fitting that at least three of the recipients of his prize (philosopher Bertrand Russell, president Nelson Mandela, and playwright Harold Pinter) share with him a singularly peculiar distinction—all received premature obituaries.